Amazon US has uploaded the very first image for Super Smash Bros. Ultimate Special Edition’s final packaging and box art. 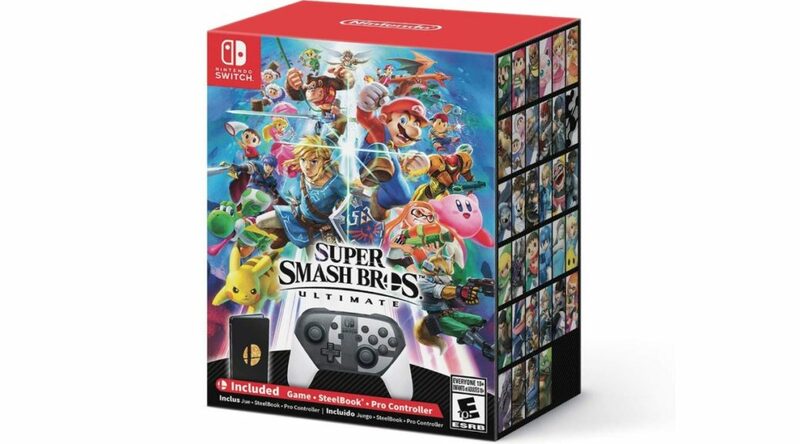 The Special Edition comes with a copy of Super Smash Bros. Ultimate, Super Smash Bros. Ultimate Edition Nintendo Switch Pro Controller, and SteelBook. This is different from what Europe is getting. 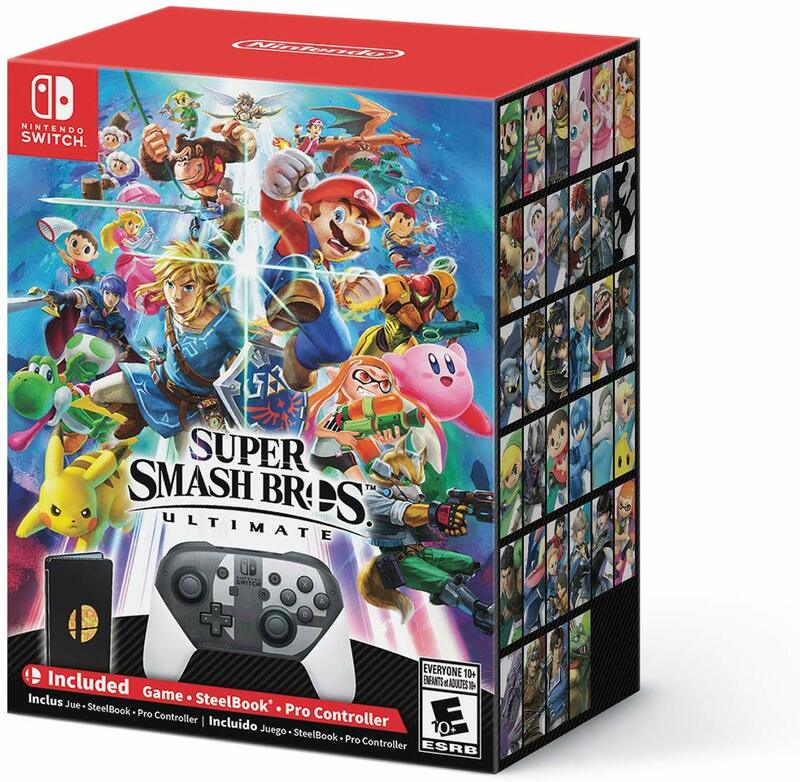 On the front of the packaging you’ll find the most popular Nintendo characters of all time, while the side features other fighters not found on the front. Buy yours here (launches December 7).